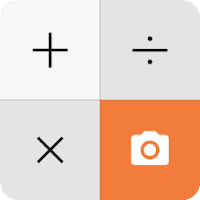 One Calculator is an All-in-One, multifunctional calculator app packed with top-notch calculating functions that not only meet the requirements of basic calculation but also deal with more advanced calculation scenarios. For those perplexed by some specific math problems, use One Calculator powerful AI photo calculator to solve the math formulas for you with nothing but a quick shot by your camera. When you have to deal with tricky math problems you'll need our scientific calculator. Built in with trigonometric, logarithmic and exponential functions, One Calculator enables you to quickly nails the answer. Ever imagine that calculator works out complicated formulas for you automatically? Now you can realize this by taking a photo of the math formula and wait for One Calculator to finish the rest. Not only will you get the answer in no time but you'll also be presented with step-by-step explanation to help you understand. You'll get a graph analysis to share with your classmates. Bring One Calculator to your classroom to aid you study, take it home with you for homework & assignment. Simply download the all-in-one calculator on your phone and be prepared for the amazing experience it'll offer.